If you get a dry spring, which we have consistently been getting, it starts to impact on your potential grain yields. If we don’t think it will rain much during spring, we will cut the crop for hay in September/October. For us, it’s better to get a return for what we’ve got there now, rather than let it shrivel up and die. I work in partnership with my brother. We try to keep our enterprise mix as diverse as we can, just to make sure we’ve got a few marketing and production options. 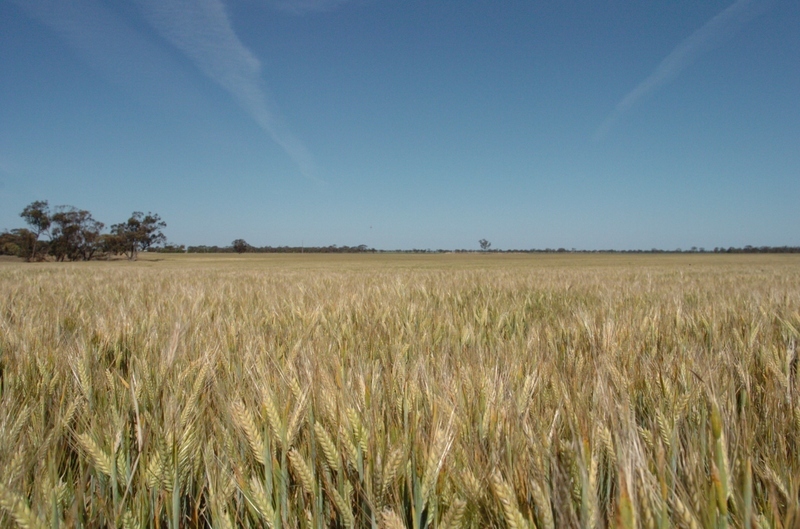 About 70 per cent of our farm is sown to crop to take through to harvest – such as wheat, barley, canola or chickpeas. The rest is sown to a mix; for instance: vetch, barley and oats that we graze for sheep feed. If it’s a really wet season, we can cut for hay. I’ve been farming since 1973. 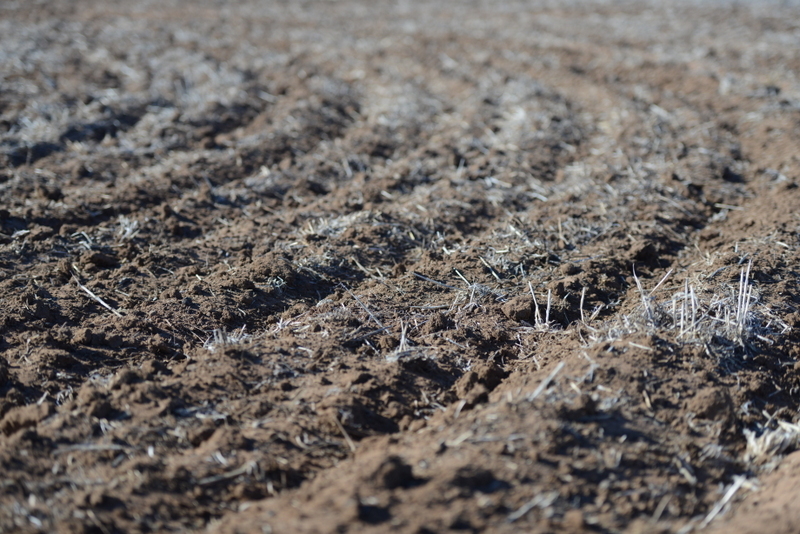 Between 1973 and 1997, our average growing-season rainfall (from 1 April to the end of October) was about 247 mm, which was consistent with the average long-term growing-season rainfall for Birchip. Then from 1997 to 2014, our average growing-season rainfall was about 186 mm, with less rainfall during September and October. So there’s been a significant shift in the amount of rain we’ve received during the growing season over the past 42 years. Our annual rainfall hasn’t changed much. We definitely get more summer rain. Because of this change, along with less growing-season rainfall, we’ve realised the importance of conserving summer rain in our soils. I think most of us agree that the climate’s changed, but I think it’s changed mainly in that it’s more variable: the hills and peaks are steeper, and troughs are deeper. There’s an old saying that, as a farmer, you make 80 per cent of your money in 20 per cent of the years. So it’s important to make the most of wet years. 2010 was a wet spring and a very wet harvest too. We were pretty fortunate that we managed to get 90 per cent of our crop off undamaged. It was good prices and terrific yields – the best we’ve ever had on this farm – at 5 tonnes per hectare. We realised afterwards that the weather signals were saying that it was going to be wet. The Southern Oscillation Index [an indication of the development and intensity of El Niño or La Niña events in the Pacific Ocean] and the long-term forecasts were saying ‘wet spring, wet summer’. It was the first time we had seen those signs, so we were all a bit cautious. If we had acted on them we could have got better yields; we could have poured on more fertiliser and got contractors in to harvest it quicker. From that experience, I watch for those signs a bit more carefully – as do a lot of people around here. Until 2009, we’d never grown hay as a crop. It is one of the things that the weather has forced upon us, and we’ve sort of landed on our feet with it. When we have stored moisture in the soil at the start of the season, it’s really good for growing bulk and biomass, and you get a nice, big crop. If you get a dry spring, which we have consistently been getting, it starts to impact on your potential grain yields. If we don’t think it will rain much during spring, we will cut the crop for hay in September/October. For us, it’s better to get a return for what we’ve got there now, rather than let it shrivel up and die. In 2007, we grew canola because we had a wet start. Then it started looking dry and we ended up cutting our canola for hay. That was a very good move, economically. The hay was good quality and we managed to get a good price for it, so that was a good return. In 2009, we cut failing cereal crops and it was our best gross margin by far. Some farmers in this area have concentrated on cropping, but we’ve chosen to keep sheep in our enterprise mix. It’s another option up our sleeves and I think sheep are less risky than cropping. Over the last 5 years [2011-15], we’ve increased the amount of pasture we sow and the number of sheep we run. Last year  we had 900 first-cross ewes; they produced 1300 lambs. We are sowing pretty intense pasture for sheep so we can graze them more heavily. 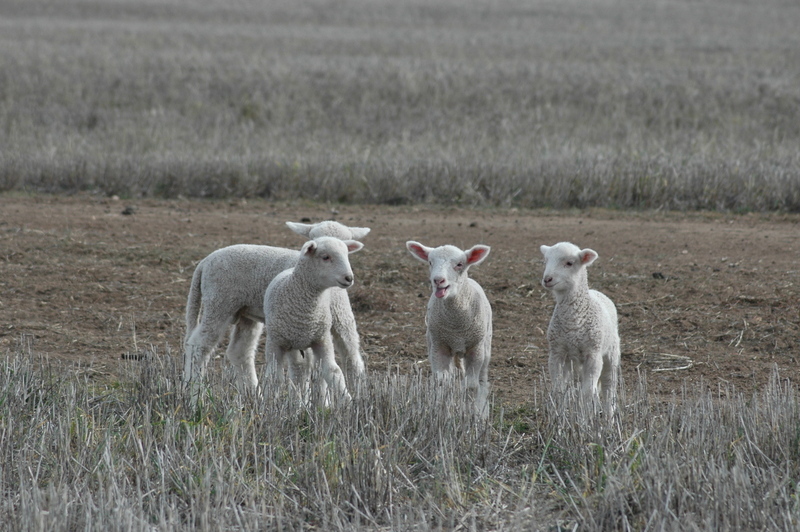 We also pushed back our lambing from 1 April to 1 July. We did this for two reasons. First, it is often still dry in April and our pastures aren’t established yet. This meant we had to feed sheep hay and grain. Second, pushing it back 3 months relieves the stress of having to sow crops and lamb at the same time. We finish sowing by 1 June, which gives us a month to get the ewes fat and in good condition. The extra months also give our pastures time to get up and growing by the time our ewes are lambing. Because we are producing more hay and growing more pasture, we are also holding onto our sheep longer, which allows us to fatten them up more and get a better price for them at market. We often change our enterprise mix according to Yield Prophet®. The program tells us our chances of making a good return on a crop. We use it to work out whether we should be sowing barley, wheat, hay or leaving it fallow. Every year we test our soils to find out the soil type and nutrient status. Yield Prophet® uses the soil type and the last 100 years of rainfall data to tell us what crop variety would be best to grow. For example, it might say: ‘You’ve got a 50 per cent chance of growing x tonnes of wheat and a 70 per cent chance of growing x tonnes of barley’. We sow our crop a lot earlier compared to a couple of years ago, because Yield Prophet® tells us the opportune time to sow wheat in this area based on the rainfall we get. After the 2010 spring and summer rains, Yield Prophet® predicted far, far greater yields in 2011 than what I thought were possible, because of all that stored moisture. We’ve never had that much stored moisture before in our lives. And it was right, so it was good that we had the confidence to put more inputs on. The traditional, old-style farmers would have said, ‘It hasn’t rained; it can’t grow a crop’, but Yield Prophet® said there was more moisture under there than we’ve ever seen before. Because I’d been using it for a few years, I had more confidence in it – thank goodness! But in these dry years, Yield Prophet® just says, ‘Keep your hands in your pocket’. That’s virtually what we do, and it saves us money. Our farm is heading towards minimum-till and direct drilling. We certainly think it’s worth doing because it reduces soil and wind erosion, it’s better for the soil structure and it conserves moisture. 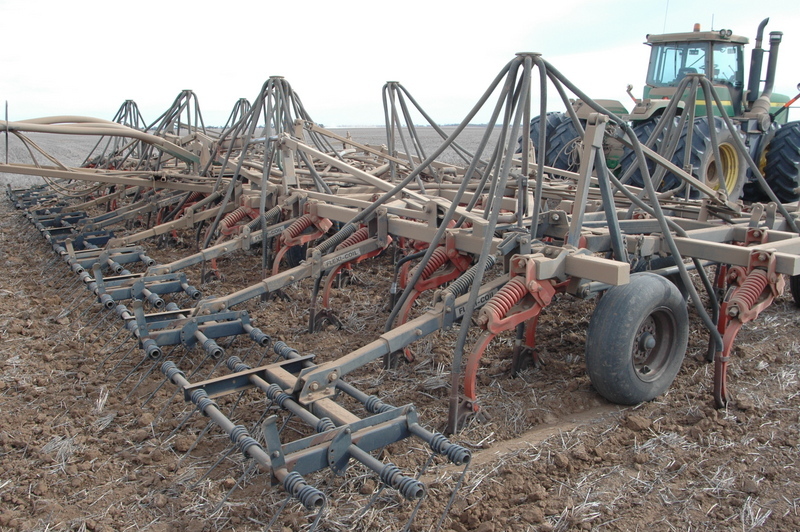 We thought you could only direct drill in sandy areas, not in our heavier soil types. 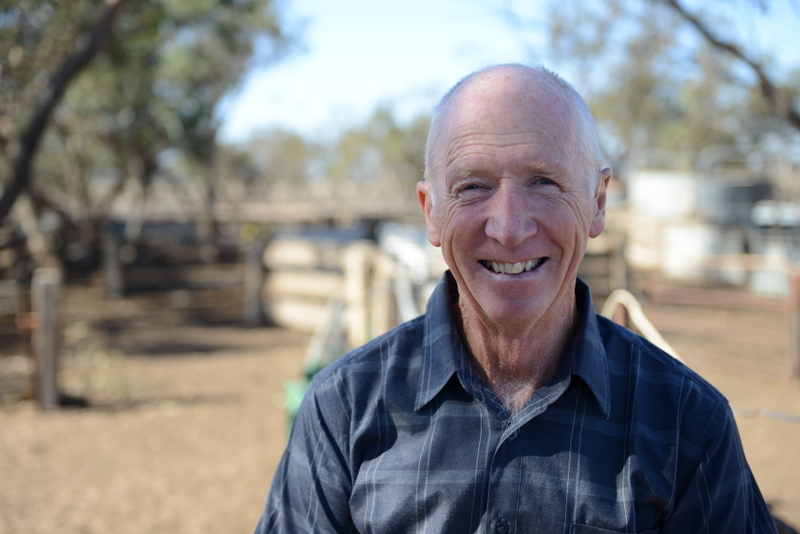 But for the past 10 years we’ve been doing test strips – a little bit of a paddock was direct drilled and a little bit was cultivated – and the results made us feel more confident about direct drilling. We’ve been fortunate enough to have the main Birchip Cropping Group trials on our place for 2 years. They did a direct drilling trial where the crop grew just as well as where I had cultivated alongside. Until then, I had said direct drilling didn’t work here. But when you see the trials on your own farm you can’t say: ‘Well, he can do that because he’s got good land’ or ‘It rains more in that area’. At the moment, we’re making do with the equipment we’ve got. We use a Flexi-Coil bar with 7-inch spacings and we’ve got 3-inch points on. We tow a coil packer behind, but don’t have any press wheels yet. We practice full stubble retention and minimal cultivation. If we need to reduce the stubble load – which is rare, because we haven’t had any big stubbles for about 8 or 10 years – we graze it or mulch it. Burning is a last resort, but sometimes it is necessary. 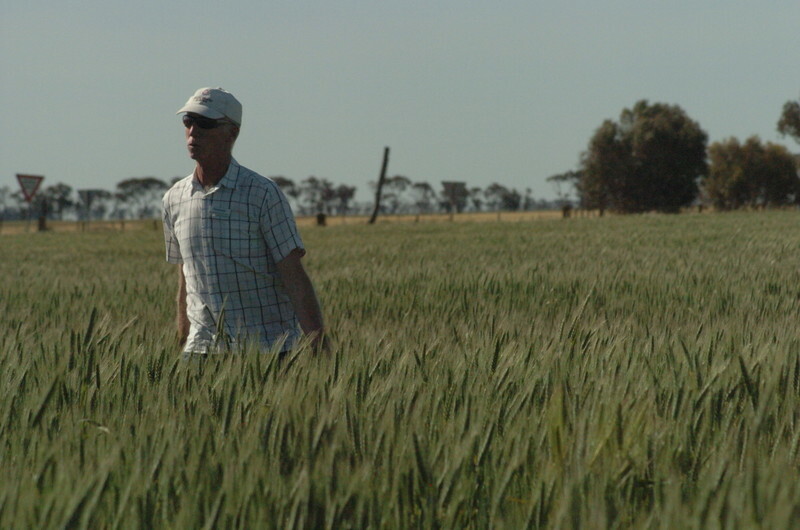 After 2010, we had really thick stubble (almost 10 tonnes per hectare) which we had no chance of retaining – anything above 4 tonnes per hectare is difficult to sow into. Other years, we mow and chop the stubble into smaller pieces about 1 or 2 inches long. At that size, the stubble can flow in between the tines much quicker and so we get a lot fewer blockages. Fallowing is quite a good tool to use because it gives you a bank of moisture that you can use for the next year’s crop. We try to leave a fine seal of mulch on the top, so that not too much moisture evaporates. In the past 5 years, we’ve been predominantly chemical fallowing. The boom spray’s the most important bit of machinery on the farm. Once every 10 years we try not to use chemicals, so that weeds don’t build resistance to chemicals. In those years we cultivate. I watch the Bureau of Meteorology 7-day forecasts religiously: I like to check what sort of rain or weather is coming in the next week. We take some notice of the seasonal projections if they say it’s going to be extremely wet or extremely dry but, apart from that, we expect it to be about average.